Please note: Because this section deals with graphic subject matter, sensitive readers may want to skip it. Otherwise, please be advised that this segment deals with the many theories regarding the assassination of Michael Collins in explicit detail. In determining who fired the shot that took a remarkable man out of the world, it is difficult to know where truth ends and speculation begins. Certainly there is no shortage of theories but how can we ever be sure of who to believe and maybe more importantly, who to mistrust? Indeed I have reached the conclusion that there is no way to be completely sure, but some conjectures are more convincing than others. I would like to present the theories outlined by the interviewees in Colm Connolly’s video The Shadow of Beal na Blath, John M. Feehan in his book The Shooting of Michael Collins: Murder or Accident?, and Meda Ryan in her book The Day Michael Collins Was Shot. Collins’s convoy was driving near Beal na Blath when it came upon a trap. Some type of obstruction was in the road and shots were being fired. Emmet Dalton, Collins’s bodyguard and assistant, yelled to the driver to “drive like hell” but Collins said he wanted to stay and fight. There was a machine gun in use as part of the armoured vehicle, Slievenamon. At some point, the machine gun jammed and it gave the ambushers time to pick more strategic locations. 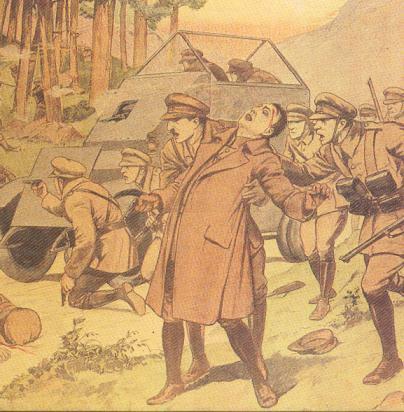 Collins unwisely moved from the cover provided to him by the armoured car into the open to fire. He stopped to reload his weapon and a bullet struck him. He landed face down with a hole in his head by his right ear. Seán O’Connell, a Commandant who was part of the convoy, whispered the Act of Contrition to Collins and he, Lieutenant Smith, and Dalton worked at hoisting Collins back into the car. While trying to get Collins back to the car, Smith was grazed on the neck by a bullet and thus had a near-miss with death himself. Dalton rode in the back with Collins and he propped Collins up as best he could. Some experts argue that a ricocheted bullet was what actually killed Collins while others say this is not possible because the wound in Collins’s head was far too large. Other experts argue that a dum-dum bullet had to have been the bullet that killed Collins because dum-dum bullets cause the same kind of gaping wounds that Michael had. [A dum-dum bullet is a bullet that was invented specifically to inflict more damage than any other type of bullet. It was created by the British military and is named after the city of Dum Dum in India. Instead of having a nickel head, a dum-dum bullet has either a hole or a criss-cross shape cut into it so that the bullet essentially explodes into the body and rips flesh with more efficacy. So grisly were the effects of dum-dum bullets that a convention held at the Hague in the 1890s agreed that all parties would not use dum-dum bullets.] The doctors that tended Collins’s body at Shanakiel Hospital said (according to this video’s account) there were two visible wounds, an entry and an exit wound. Out of the massive exit wound poured torrents of blood and even some brain matter. When the body was embalmed, the workers had to use several pounds of melted wax to plug up the hole. Another theory is that a high-velocity rifle fired the bullet that hit Collins. When the bullet hit Collins’s head, the bone of his skull broke apart and the fragments became like projectile missiles ripping up his head. In terms of establishing who fired the fatal shot, a witness who was at the ambush reported that John (Jock) McPeak, the machine gun operator, was not the shooter and no one in Collins’s party was either. 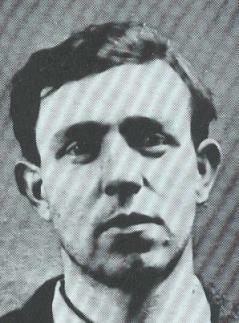 Sonny (Denis) O’Neill, one of the rebels, claimed to be the one who indeed did kill Collins. Ultimately, the only way to know for sure is to have Michael’s body exhumed. But his family members would not agree to such an action and thus, we do not know for sure who the assassin was. John M. Feehan’s The Shooting of Michael Collins: Murder or Accident? First, Feehan contends that Collins was shot with a bullet from a Mauser type pistol. [What is that? It is a weapon made by the German manufacturer Mauser, which was used rather notoriously by at least a few rogue IRA members in the 1920s. Feehan describes it in this way: “The barrel and body of the Mauser pistol are in one piece and it is normally supplied with a wooden holster which can be attached to the grip of the pistol and so turn it into a mini-rifle which can be fired from the shoulder. It usually fires a 7.45 mm or 9 mm bullet which, when it strikes and enters an object, expands and tumbles and can tear the flesh to pieces inside.” If you would like to know more, I would suggest you visit the Mauser Website. If you are less of a gun enthusiast and would just like the bottom line: it’s a weapon that can produce gruesome and terrifying results when used in gruesome and terrifying ways.] The bullet entered through his forehead and blew out the side of his head. It was not a ricocheted bullet and it was not a dum-dum bullet. A ricocheted bullet would make a gash of one to two inches and the bullet would stay inside the head. The IRA had been instructed not to use dum-dum bullets and it is not probable that anyone in the ambush would have disobeyed the order. A dum-dum bullet would have stayed in the head and would have left a wound similar in size to a ricocheted bullet. No bullet was found in Collins’s head and none of the witnesses mentioned that dum-dum bullets were used. Witnesses claim that they did see a small wound on Collins’s forehead and such a wound would be consistent with what a Mauser type pistol would do. "In the diary, the unnameable friend claims, there is an admission that Dalton shot Collins at close range with a Luger pistol. That Dev and Collins had arranged to meet but that radicals in both camps wanted to continue the fight so arranged for both of their executions. 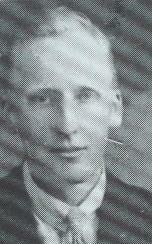 Dalton was to kill Collins; Liam Lynch, the head of the Irregulars, was to kill de Valera. Dalton got the opportunity and did it. Liam Lynch didn't, so de Valera survived" (Neil Jordan). Not surprisingly, this Dalton diary has never been produced and so it is vital to keep a realistic perspective on such a claim. Third, a cover-up of some nature took place after Collins’s death. There were no inquests, no enquiries, and no proper autopsy was performed. (Seems a bit odd that nothing official took place, considering that Collins was the Commander-in-Chief of the Free State Army.) For some reason, nearly every document pertaining to Collins’s death has been destroyed or has "disappeared." The cap on display in the National Museum as Collins’s cap cannot be his cap because it is too small. The cap has a red stain on it which is supposed to be blood, but after time, a true blood stain would have turned black. The cap is torn as though a bullet tore it but it was never examined for powder marks and the stain was never tested to see if it was indeed a stain from Collins's blood. There is a story that Collins’s cap was given to Seán Hales as evidence that Collins did not get shot by a ricocheted bullet but that cap has vanished. Feehan finally concludes that it is not fair to charge anyone with shooting Collins because there just isn’t enough evidence. Collins and Dalton together in 1922. Is it possible that this friend could have caused a terrible accident? They stopped at Sacred Heart Mission Church near Cork where a priest finally did administer the Last Rites. Collins’s body was taken to Shanakiel Hospital and Dalton had to tell Ireland that Michael was dead. When the doctor got to Collins, the bandages Dalton placed on his head were removed. Collins was laid out in uniform and candles were lit. The next morning, a hat and coat were found in the room. The hat was still wet with blood but had no hole from a bullet. The body was taken to Dublin by a boat called Classic. Oliver St. John Gogarty was assigned the task of embalming Collins’s body. A death mask was made and the process started. "Shortly after admission, the dead leader was examined by Dr. Patrick Cagney who had served with the Royal Army Medical Corps during the First World War and was an authority on gunshot wounds. He had no hesitation in concluding that Michael had died from a wound inflicted by a Lee-Enfield .303 high-velocity rifle. The bullet had made a neat hole on entering the skull at the hairline, but had torn away a substantial part of the bone and brain before exiting behind the ear. The size of the exit wound, to the untrained eye, gave rise to several myths that endure to this day. One is that Sonny O’Neill was using dum-dum (exploding) bullets; another that he was armed with an elephant rifle which, originally part of a consignment of arms sent by Michael to the IRA for their campaign in Northern Ireland, had been held back because O’Neill was partial to it. This reinforced the moral that Michael had unwittingly become a victim of his own Northern policy. A third myth was that the bullet that caused his death was a large-calibre round from a Mauser pistol—and Emmet Dalton was carrying such a side-arm. From this it was but a short step to suggesting that General Dalton was in the pay of the British Secret Service and had received up to £10,000 blood money (various sums were adduced) to slay his own Commander-in-Chief. This was a monstrous lie; Emmet Dalton would cheerfully have given his own life to protect his Chief, but the rumour persisted and all but ruined this fine man. … Emmet Dalton was not the only person to suffer as a result of the ambush at Beal na mBlath. John McPeak, the Scots machine-gunner, never lived down the fact that his gun had jammed, and from this unfortunate technical hitch some of the blame for Michael’s death landed on his head. 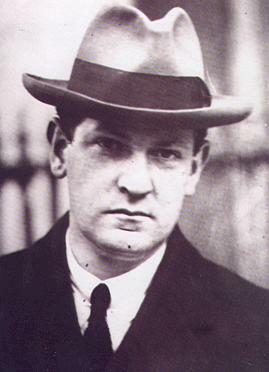 … Denis ‘Sonny’ O’Neill, the man who fired the fatal shot, never got over the fact that his unlucky bullet had killed Michael Collins. The tragedy was underscored by the fact that he, along with other members of the ambush group, were local men who had to go on living and working in the same community as the friends and family of the dead leader. Sonny confided in Tom Hales that it was he who had shot the Big Fellow, but otherwise he kept it to himself for almost thirty years." 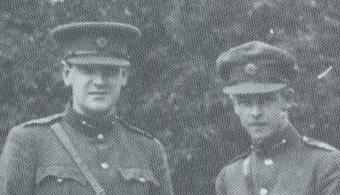 Tom Hales (left) and Jim Kearney (right), two of the men who claimed they found Collins's cap and buried it. 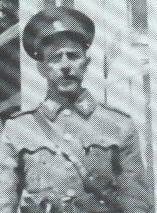 To read the driver Corry's account of Collins' fatal ambush, click here. To read Emmet Dalton's account, click here. The above paragraphs contain information taken from the books and the video I mentioned. They represent the theories researched by the respective authors, not by me. I realize that not everyone will care about these theories and that some readers may even be offended by comments they find in this section. If that is the case, I would suggest you check out a copy of the books and the video to learn more about the authors’ investigations. My personal opinion is this: I do not know who actually shot Collins and I am not convinced that the cap in the Museum is truly his. The evidence for each argument seems too circumstantial and contains too much hearsay for me to feel 100% persuaded. It is possible that new evidence may turn up in the future but until that day, I have decided not to think of any of the suspects as being, unquestionably, the assassin. A macabre and probably inaccurate sketch of Collins's assassination. As you can see, the artist has drawn a small, bloody forehead wound by what would be Collins's left temple. A loose rendering of history, or could the artist know something we don't?